Everything from our kitchen appliances to our phones has evolved so why should our method of home security just be our dog and a standard door lock? Help your furry friend defend your home by acquiring an integrated security system that will not only alert you of potential intruders. Businesses can especially benefit from this kind of security. In 2019, an alarm system is no longer a high tech luxury for the big rich businesses, it’s a necessity for every home and every establishment out there that holds valuables and loved ones. Before there’s any confusion, let’s break down what this type of alarm system can do for everyone. An integrated security system holds multiple types of security systems and combines them into one solution where you can have access to them all at once. 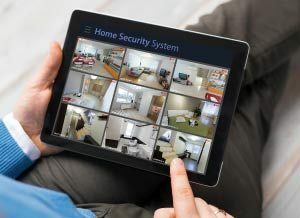 What are the Benefits of an Integrated Security System? Incorporating this type of alarm system will enhance everyone’s communication when it comes to the security of the home or business. In a home, every house member will know that all features are included in one solution and can be accessible through that system. There is no need to run around the house to search for each individual feature as they will all be in one place. In case of an incident, this saves valuable time that can save lives if the situation becomes a site of danger. It is known fact that over half of robberies are internal affairs which is why businesses should not solely focus on guard service that is only available during working hours, as most employees tend to have access to the building after hours. This is when video surveillance would benefit the commercial building the most. Complete awareness of what goes on 24/7 is key. What are Some Standard and Advanced Features Found on Security Alarm Systems? These are just some features that standard alarm systems in Houston don’t have, thus leaving you with less options when it comes to your safety. Here at Mesa Alarm, we believe you should have access to all the tools necessary in order to stay and keep others safe. Visit us online or contact us today to get the best in home or commercial security systems.